The Isle of Arran has become the first community in Scotland to achieve Surfers Against Sewage’s Plastic Free Communities status. The accreditation was given in recognition of the island’s work to start reducing the impact of single-use plastic on the environment. The Surfers Against Sewage Plastic Free Community network has already accredited over 400 communities, with Arran becoming the first in Scotland. 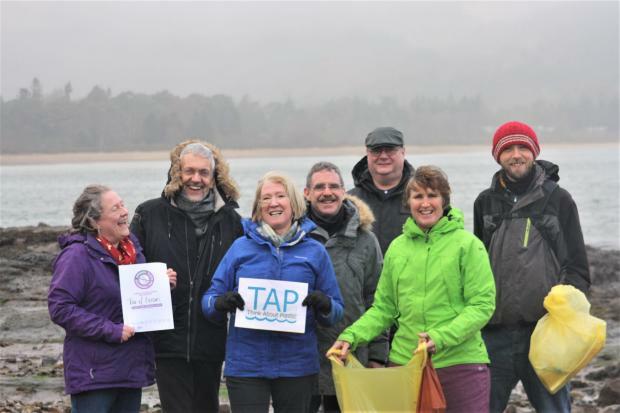 Islanders formed the group ‘Think About Plastic – Arran’ (TAP-Arran) in February 2018 and focused on ways key organisations and business could reduce their plastic use. Accommodation providers quickly changed habits; they replaced single use mineral water with reusable water bottles; introduced bars of soap and solid shampoo to replace bottled products and gave fresh milk in place of mini pots of UHT. Helen How, chair of TAP-Arran, said: “We are delighted by the support we have experienced from residents and businesses. 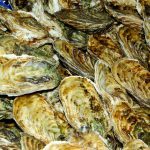 Residents on the island often take part in organised beach cleans, and retailers including The Co-operative in Brodick are trialling plastic-free produce. She added: “Having gained this accreditation from SAS, we will continue to expand the campaigning to include more businesses and get the message out to the many visitors Arran attracts. North Ayrshire Councillor Jim Montgomerie, cabinet member for place, said: “Congratulations to the TAP team on this recognition and hopefully their determination to eradicate plastic waste will rub off on other businesses and groups across North Ayrshire. “North Ayrshire Council is delighted to support TAP – Arran and indeed as a Council we have already made huge strides in eradicating plastic from our facilities – last year alone we have removed more than 800,000 straws from milk cartons and fruit juice cartons in our schools as well as our cafes across all North Ayrshire. “Our commitment to become a Plastic-Free Council takes this on to a whole new level by removing single-use plastics from a whole range of services. We know that many plastics play an important role in everyday life but it is single-use plastics which have the most detrimental impact on our environment. “We hope that our actions, and the efforts of groups like TAP, will help to get people thinking about how discarding single-use plastics has a negative effect on the environment, encouraging people to look more closely at alternative materials. Rachel Yates, SAS Plastic Free Communities project officer, said: “It’s great to see Arran leading the way in Scotland as the community works to reduce the availability of avoidable plastics, raise awareness and encourage people to refill and reuse. “We have over four hundred communities across the UK working to reduce single use plastic and the impact it has on our environment. This article was originally published as Isle of Arran is Scotland’s first plastic-free community at The Herald on 26/01/19.